Have you ever had a really good thought hit you while you were doing something totally unrelated? Here I was today, digging out this water line so I could insert a “T” fitting and make a new water faucet for the hose. All went well until I tried to fit the cut pipe back together. I had to do a lot more digging before it worked. 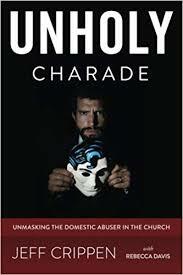 Anyway, in the middle of all of this, my mind wandered where it so often does these days – the unjust treatment of abuse victims in our churches. I had a kind of “eureka” moment just before the pipe slid back together. Here it is. As usual with these kinds of things, it really is just common sense. Jesus addressed abusers. When He gave His instruction about divorce, he was talking to (or about) men who treacherously divorced their wives. Think about it. These are the people he was talking to. HE WAS NOT SPEAKING TO A WOMAN WHO CAME TO HIM PLEADING FOR RESCUE FROM HER EVIL HUSBAND. Sorry for the caps. Sometimes I need to shout. Then he tells her she has no grounds for divorce, to go home and try harder. JESUS DID NOT DO THIS! JESUS DID NOT DO THIS! This is what hit me at the water line hole. The words we are quoting to victims are the words Jesus spoke to the ABUSERS! And as you think about the implications of this, the horror of it begins to strike you. We are treating victims like their abusers! “Hmmm…let’s see. Jesus said something about that…ah yes, here it is! You are forbidden from divorcing your evil husband (or wife).” I mean, it really is the same thing as pulling out the account of Jesus whipping the money changers and then telling the woman she needs to get lashed! Matthew 4:23-24 ESV And he went throughout all Galilee, teaching in their synagogues and proclaiming the gospel of the kingdom and healing every disease and every affliction among the people. (24) So his fame spread throughout all Syria, and they brought him all the sick, those afflicted with various diseases and pains, those oppressed by demons, epileptics, and paralytics, and he healed them. This is good. This is what happens. And there’s the plethora of blogs, books, and conferences doing exactly this. Abused women desperately seeking an end to the abuse, and instead of quoting the ‘do not be unequally yoked’ verse, this verse and teaching of ‘except for adultery’ you’re in it for life.